Wheels are perfect. Couldn't be more happier. Thanks very much for eveything. Thanks for your concern in regards to delivery request, am please to inform you wheels and nuts came in perfect condition yesterday afternoon. Very impressed with your service and I look forward to further purchasing products in the near future. I just want to say thankyou for the awesome experience I received from yourself during my first purchase of aftermarket wheels. From the first enquiry to the pickup, your customer service was amazing. Just wanted to thank you on the service that you have provided me and correcting any errors that I had made. All products were 100%. Very satisfied, hopefully I will be dealing with you again soon. 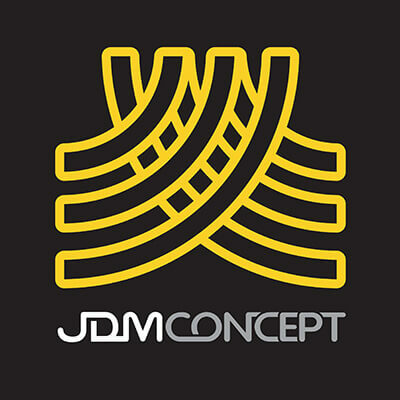 I just thought i'd write to you and say thank you for the wheels and the overall service JDM Concept provided. You guys do a great job. Hi its adrian here just letting you know that I have received my rims and they are in perfect condition thank you very much you have been very helpful and I will be ordering more from you in the future. Im very happy with the service you provided. I'd just like to send you an e-mail thanking you once again, for your customer service, has been a pleasure. Received my wheels yesturday and are extremely happy. I have bought from you in the past a few years ago, and same service. Thank you for your smooth transaction, goods arrived on time and well package as was described. I'm a happy customer and will deal with JDM Concept again. Hi, Wheels have arrived. Thank you for a quick and easy transaction. Also you level of help in regards to the order was fantastic. Hey mate just like to thank you for help with my wheels im over the moon with them. Thank you for your help would recommend you to anyone. Leo, You have outdone yourself once again. VERY happy with the new wheels! Thanks again mate! ALWAYS a pleasure dealing with you, And I will highly recommend you to all that need new wheels! Hi All, A brief email to advise that my order arrived safe and sound yesterday afternoon. I am pleased with the product quality and the actual fit to the vehicle. I would be happy to purchase goods from your company into the future. Hey Leonardy, I would just like to thank you for the Work Equip 03s, been very helpful and best customer service just thought id post a pic on how the car turned out with the rims from jdm concept. Hey Leo. Caps arrived today. Awesome service and delivery. Thanks heaps. The wheels have arrived mate and are absolutely fantastic, thank you for the great service and will look forward to dealing with you in the future. Thanks very much Leonardy. Wheels arrived this morning. You do an excellent job, great service. Will be sure to order from you again. LEONARDY!!! Thank you so much! Rails and stickers arrived super promptly! Very much appreciated. The rails I ordered from you are easily the best yet. Great finish and dimensionally accurate. Hey Received rims today, I haven't opened them all and checked them out but thank you! Amazing customer service and received the next day appreciate it mate! I'm very impressed with the service you have given me, I will be dealing with you again, i only want the best quality for my cars and I am very happy to find a company who is professional ,easy to get along with and who delivers a top quality product . Hey received my jspeed dump/front pipe yesterday no damage as I didn't think there would be. Fits like a glove I'm very pleased with it it's an amazing item thank you and ill be sure to recommend your company. Just want to say thanks again and that the communication was awesome, best customer service. Will definitely shop with you guys again! The rims had arrived. I wasn't expecting it to be that fast. They look awesome in the flesh, so it's a pleasure doing business with you Leo. Look forward to future transactions. Wheels arrived today safe and sound. Thanks for all your help and making it an easy buying process for a first time buyer of something of considerable value and size your constant feedback and support made it a very relaxed purchase. Big ups to Leo! Got my wheels in 24 hours... Very happy with the service! Cant go wrong dealing with Leo. Cant recommend you guys enough! Hello, Just a quick one to say thank you. Great service. Would just like to say thank you very much for your excellent customer service. Email only but you are better and more prompt than business with phone numbers! Hi Leonardy, Wheels have been received. VERY happy!! Thanks for the great communication and quick freight!! I just want to let you know personally how genuinely impressed i am with my purchase and the way you guys run your business. It is truly refreshing to see a company so prompt in replying and shipping and also quality of product and price. Hey Mate Wheels arrived yesterday and are in great condition thanks heaps for the good service. Hi Leonardy, I'm just letting you know that my wheels arrived yesterday and I am more than happy with them! Cheers for all your help and for making the process so easy. Leo is great guy, fast replies to emails and doesnt mess around. rims arrived promptly and was kept up to date throughout the whole process. I highly recommend their services. not very many companies around that run as well and as organised. Hey Leo, I just wanted to thank you over these past few months for providing me downright excellent customer service. Always prompt and honest, keeping me up to date throughout every purchase. Cheers mate. Hey leo, received the wheel this morning all complete, so very happy. Thanks again for your help, Ill definitely be recommending JDM Concept to anyone looking for parts and will definitely deal with you again. Keep up the good work! Got my stuff today. THANKS ALLOT! You are the GOD around here man. i love buying stuff from you, the packaging is alwayss so nice and neat and well packed. I am so impressed! Thanks allot! Even though they were only boring OEM parts, i am still impressed! Thank you so much for the help with the wheels. Very much appreciated. The wheels look awesome on the car. The best rim I have had in a long time.